A look at the microfiber mop and why micro fiber mops will soon replace the traditional mop. Confused by what is microfiber? We will answer your questions in this article. 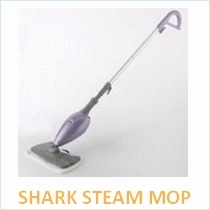 I’ve often heard about steam mops and other cleaning products that frequently advertise that they have microfiber pads. They claim that it is extremely absorbent, re washable and reusable. But what exactly is microfiber? Micro fiber or microfiber is a synthetic fiber which is less than one denier. If like me, you don’t know what a denier is, I’ve found that it is a measurement which is based on a natural standard. Basically 1 strand of silk is a denier, so you have a better idea of how tiny microfiber strands are. Microfibers are usually made out of materials like polyester or a combination of polyester and polyamide. This material is used for a wide variety of uses including manufacturing textiles, cleaning products, clothing, upholstery, industrial filters and more. The specific characteristics of these fibers include: durability, absorption, softness, filtering ability and more. Yep, from those typical characteristics it sounds like great ingredients for a mop pad to me! Do note that microfiber mops are mostly made from 100% polyester microfiber. 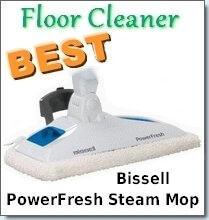 This is an extremely effective material for mopping as it holds up to 7 times its own weight in liquid. Another great attribute of the microfiber mop is that it not only absorbs water, but also oils just as effectively. They make great towels and cloths that you can use to remove wax from your car as well as for cleaning the interior of your vehicle. Overall a microfiber floor mop is more expensive than a normal mop that doesn’t use microfiber – but only in the short term. They are more economical because they last longer, absorb better, are reusable and are easier to use. Extremely efficient and effective when mopping. Because the fibers are so tiny (less than a denier), this makes them very effective at absorbing liquids without dripping. 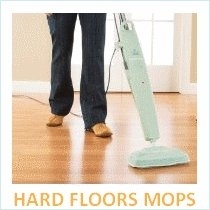 This ensures that the floor is not very damp after mopping and it dries very quickly. 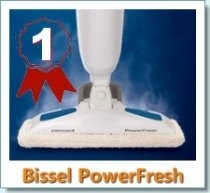 • Microfiber is designed to attract dust. How? Dust is negatively charged whereas microfiber is positively charged. This causes the dust to be attracted to the mop which is then captured deep in the fibers to prevent the dirt from being distributed around the room or area. • Easy on you or whoever is cleaning. These mops are a dream to use. They are lightweight, maneuverable and weighs less because they don’t require a lot of water or disinfectant. This reduces fatigue and the danger of injury from back pain or strain. 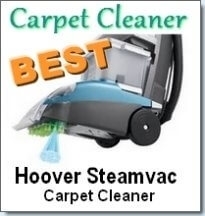 • Reduces cleaning costs. Even though a microfiber mops are more expensive than regular mops, they last almost 10 times longer than traditional mops. They more than pay back for themselves and help you increase your savings. 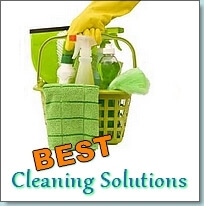 Also, they require less cleaning agents and water so you utilize fewer resources which save you money. 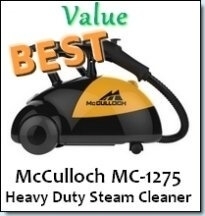 • Reduces or eliminates the risk of contamination. Traditional mops sludge dirty water around a room whereas microfiber prevents this. Micro fiber swivel mops are also able to reach under appliances, furniture and around objects which allows you to clean more in less time.